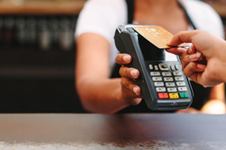 Financial institutions in the U.S., Europe, Latin America, Asia/Pacific and Canada are issuing contact or dual-interface EMV chip cards for credit and debit payment or are migrating to EMV issuance. With over 3.4 billion chip cards issued, industry resources provide U.S. issuers with a head-start in planning EMV migration. Chip technology provides a variety of options that support implementation flexibility. An issuer can implement only the options that best fit the issuer’s needs and marketplace. The resources on this site provide a range of educational material – from EMV basics to detailed guidance on the choices that issuers need to make to support chip technology.